A regional publisher has launched a city news website in the heart of a rival company’s patch. 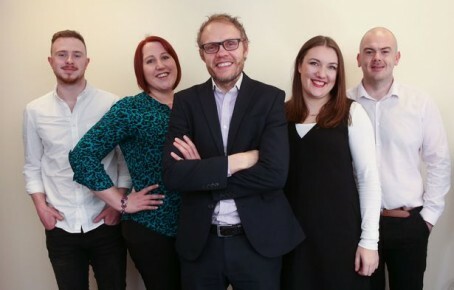 Trinity Mirror has announced the launch of digital-only venture Leeds Live in the Yorkshire city, home of Johnston Press flagship dailies the Yorkshire Post and the Yorkshire Evening Post. The site will be overseen by Wayne Ankers, editor of the Huddersfield Daily Examiner and Ed Walker, editor (digital) for Trinity Mirror Regionals. They will be supported by a five-strong team of journalists who have all been recruited from other Trinity Mirror titles. They are Samantha Gildea, who joins from the Examiner where she was digital development editor, Todd Fitzgerald, who was a political reporter at the Manchester Evening News, Laura Hill, from Newcastle daily The Chronicle, and Dion Jones, head of audience engagement and social media for the North Wales Daily Post. Tom Marshall-Bailey, who edited TM’s Football.London website until earlier this year, will spearhead its Leeds United coverage. In a piece announcing the site’s launch, Ed wrote: “We’ll be bringing you the latest developments and incidents which affect you, living or working in Leeds city centre. Across our live news channels you’ll be kept in the know about what’s happening in our great city. “Leeds Live will be using the latest digital storytelling techniques to bring you all the news you expect, as well as challenging you to see it – and Leeds – in a different way. TM has previously launched city news sites under the ‘Live’ brand in Belfast, Dublin and Glasgow, while the online arm of the Birmingham Mail is set to rebrand as ‘Birmingham Live’ with a separate editorial team in the near future. The Leeds Live team are based at the Open Data Institute in Munro House, Duke Street, Leeds. Ed added: “One thing we’re passionate about is Leeds United. We’ll have all the latest from Elland Road and bringing you it straight into your social feeds from the first whistle. “We’ll ensure you know the best in Leeds too, there’s some great sites which keep you informed about what’s on but where is the place to spend your hard-earned money on that meal out? The place to take the family when they are visiting for the weekend? I can understand TM launching a new website in Leeds because it’s a big market, but it’s one that is saturated. If TM really gave a stuff about local journalism they wouldn’t be opening in Leeds, which is already catered for by a wide range of traditional, online only, and independent news outlets. All this is going to do is make life more difficult for all those existing outlets and possibly force one or two out of business. It’s an aggressive tactic and I’m sure it will be a success for TM, but not for local journalism as a whole. I went onto Leeds Live last night. Poor. Everything said at a football conference – every word, really? And then press releases and stories that were already out there. If TM is serious about investing in quality journalism and for the reader/advertiser market, I can let them know of plenty of areas which would be prime territory. Funnily enough, they all have TM titles. It’s early days yet, be interesting to see how it evolves. This development is interesting on so many levels. I see they’re based at ODI Leeds, if they have any sense they’ll link up and use their considerable data expertise in collaboration. There’s great potential for innovation there. There are also a couple of hyperlocal sites in South Leeds Life and West Leeds Dispatch who may also be open for collaboration. It’s interesting Trinity has chosen Leeds as a base. The Guardian pioneered it’s short-lived Local Project there between 2010 and 2011, Made in Leeds TV has since come along and done a good job in terms of its news output (although the test of the programming isn’t great). And there is a thriving hyperlocal/community media scene. Crowded marketplace? Yes. But the bigger question is why JP’s Yorkshire Evening Post is consistently being challenged. the answer is it simply doesn’t have the resource to do its job properly, coupled with the lack of a strong web strategy at JP it is, sadly, vulnerable and has been for some time. @Saddened Journo – True and you can say the exact same about Johnston Press. If there’s a worse way of trying to get information than by reading one of their turgid websites, then I really don’t want to know about it. To address a few points. Yes, there’s lots of sites/media operating within the wider Leeds and Yorkshire area – we will look to work with people where appropriate. I think there’s some great opportunities for collaboration. That’s obviously easier once you’re live, people can see what Leeds Live is and we can have a conversation. As someone said, early days, the site isn’t 24-hours old yet! In terms of context mix, there will of course be light and shade. We’re very much focused on the city centre, so I imagine there might be a bit of KFC and some pubs nostalgia too. As for football press conferences, we find, from our audience numbers, that fans like to see/hear what a manager said as well as interpretation/analysis. So why would we not give it to them? And of course, sods laws, we’d prepped a huge long read about the forthcoming bid ready for launch, which is a bit redundant(!) http://www.leeds-live.co.uk/news/leeds-news/european-capital-culture-2023-what-13939875 – but that’s the nature of news! It’s very much early days and I’m sure our stories will adapt and change as we learn more about what a Leeds audience wants. The fact that the person charged with overseeing TM Regionals’ digital offering makes the mistake of writing – not once but twice – ‘Yes there’s [there is] lots of sites…’ tells me pretty much all I need to know.